Adriana Torres, with her family, from left, sister Karina, mother Melissa, father Miguel and brother Miguel Jr.
Family, coaches and teammates helped Adriana Torres celebrate, as she signed to play basketball at Valley City State University, in North Dakota. The Pelican Rapids senior will be finishing up an outstanding career as a Viking athlete and student this spring. Torres plans to study health science and psychology at Valley City–and possibly transfer to University of North Dakota or University of Mary for post graduate studies. Ultimately, she is considering an occupational therapy program. While working for the Pelican Rapids summer recreation program, she worked with an autistic child, and became very interested in working with children as a career. 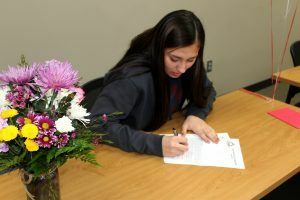 Her pre-college duties will begin early with Valley City, as she will be on board for a youth basketball camp in June. She will also be assigned a weight-lifting program at Valley City, prior to November–when basketball practice will be in full swing. Cole Forsgren is also a Valley City graduate, as is Dave Haugen, Pelican teacher and football-track coach. 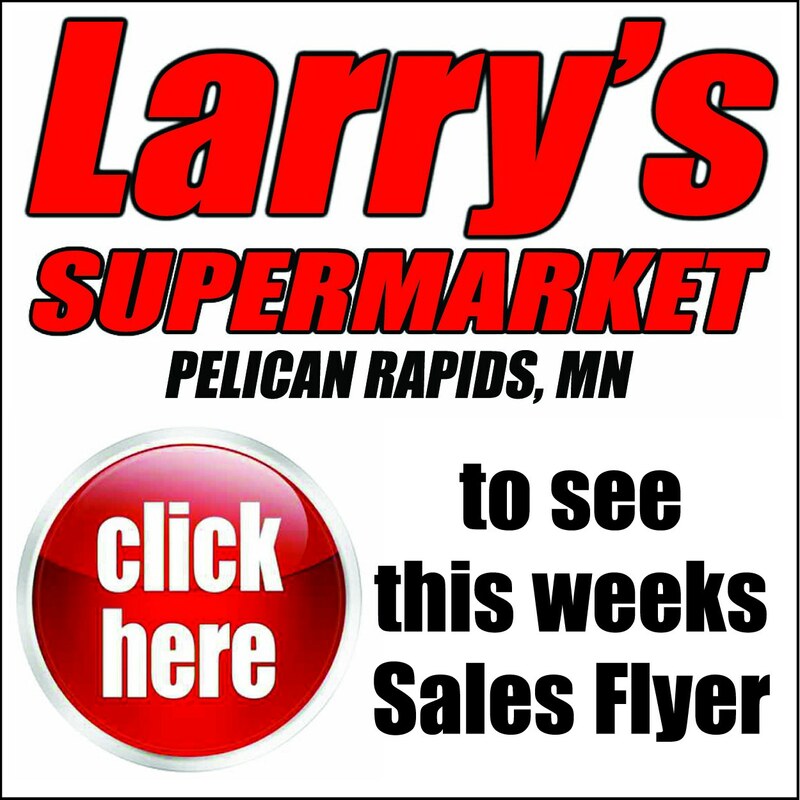 Torres follows several others with a Pelican Rapids-Valley City connection. 2018 graduate Jacob Gottenborg is a student at Valley City. 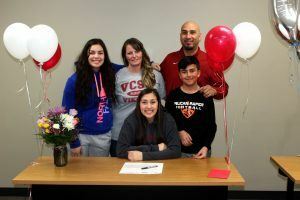 Torres earned athletic, academic and diversity scholarships to attend Valley City. Recently, Torres was named Most Valuable Player in the Heart O’ Lakes conference. She wrapped up her career as a Lady Viking basketball player in the number two spot for top 10 all time scorers, with 1,531 points–behind Mackenzie Korf, who scored 2,112. She also is second on the all time Pelican rebound list, with 759 rebounds–behind Erika Morgan, who rebounded 769. This spring, her final sports season at Pelican Rapids, Adriana will be on the track squad–throwing shot put and discus. This summer she’ll be working with the Pelican summer recreation program, as she did last year. 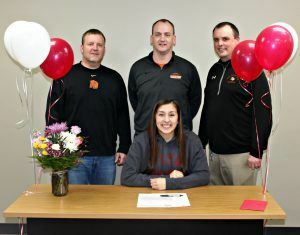 After signing to play for Valley City State University at a ceremony at Pelican Rapids High School, staff gathered for a photo. Standing from left, assistant coach Lee Larson, principal and head girls coach Brian Korf and activities director Derrick Nelson. Starting with the third grade, Torres said she has been very pleased with her education in Pelican Rapids. The family moved from a much larger district, Moorhead. She also likes living in a community where most folks know each other. 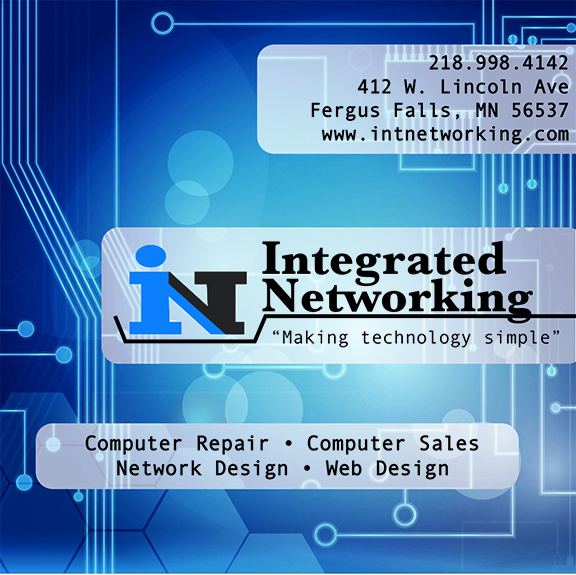 “I really like that,” said Torres. Her volunteer activities have included serving lunch at the Welcome Place in Pelican, assisting at the Fly-In/Drive-In breakfast in the summer; volunteering with the Special Olympics; and assisting the Pelican Masonic Lodge with the child identification program.